Trippy honey from Tibet is new to me. Anyone know more about it? Or know where I can read about it? Edited by Spooner, 13 June 2014 - 08:11 PM. 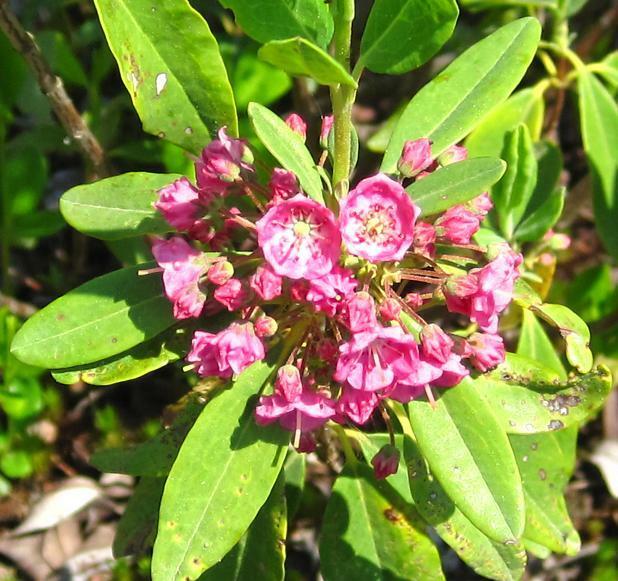 I had never heard of that either, but after a little research I found that honey made from rhododendron nectar sometimes contains grayanotoxins which may be the active constituent. 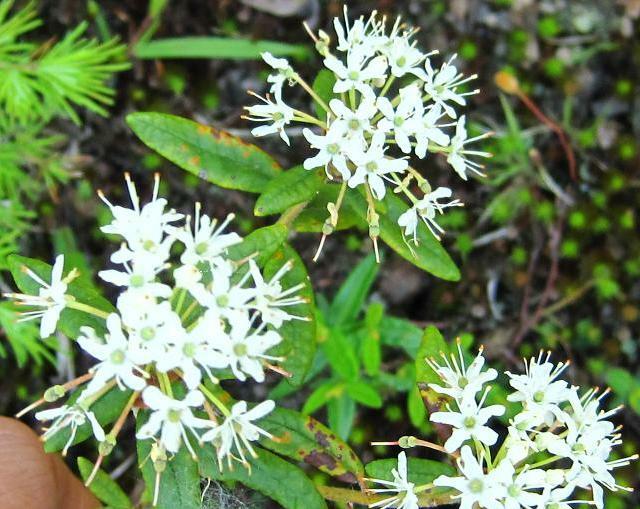 Labrador tea has narcotic properties. Evidence suggests that excessive consumption of the plant may cause delirium or poisoning. Toxic terpenes of the essential oils cause symptoms of intoxication, such as slow pulse, lowering of blood pressure, lack of coordination, convulsions, paralysis, and death. It is apparently safe as a weak herbal tea, but should not be made too strong. 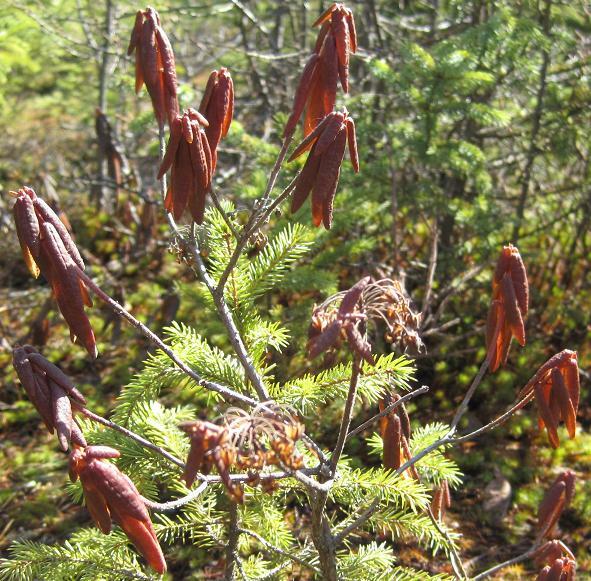 t is found growing in northern latitudes around the world. In Europe, it occurs south to the Alps. It is reported from Greenland, as well as from every province and territory in Canada and in the northeastern and northwestern United States (New England, New York, Pennsylvania, Michigan, Wisconsin, Minnesota, Idaho, Washington, Oregon and Alaska). 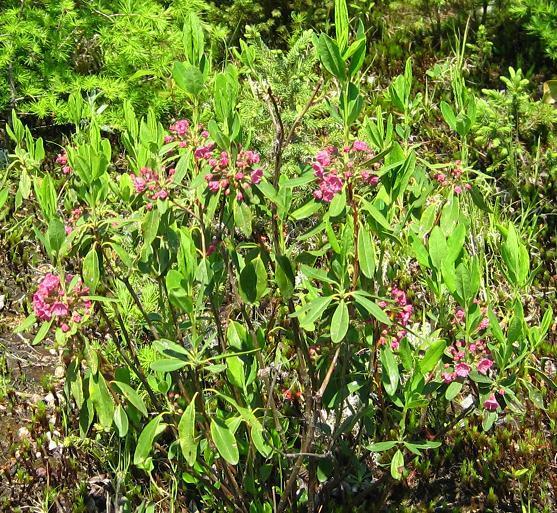 It grows in bogs and on wet shores, and sometimes on rocky alpine slopes. Apparently you do not have to travel to the corners of the earth to try this out. 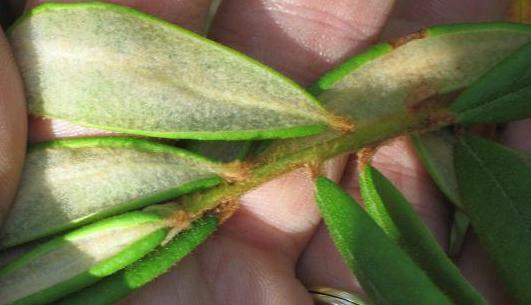 Grayanotoxins are a group of closely related toxins found in rhododendrons and other plants of the family Ericaceae. The Ericaceae are a family, commonly known as the heath or heather family, of flowering plants found most commonly in acid and infertile growing conditions. The family is large, with roughly 4000 species spread across 126 genera, making it the 14th-most-speciose family of flowering plants. 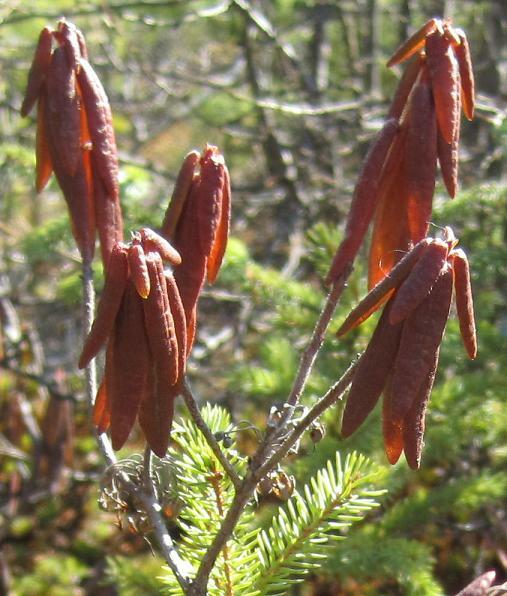 The many well-known and economically important members of the Ericaceae include the cranberry, blueberry, huckleberry, azalea, rhododendron, and various common heaths and heathers (Erica, Cassiope, Daboecia, and Calluna for example). Edited by cyclenaut, 13 June 2014 - 09:23 PM. Good reading, thanks bunches cyclenaut. Don't think I will try it, but interesting that the nectar has the same properties and shows up in the honey. I have always heard honey from rhodies was poisonous, but never heard it was used as an intoxicant. 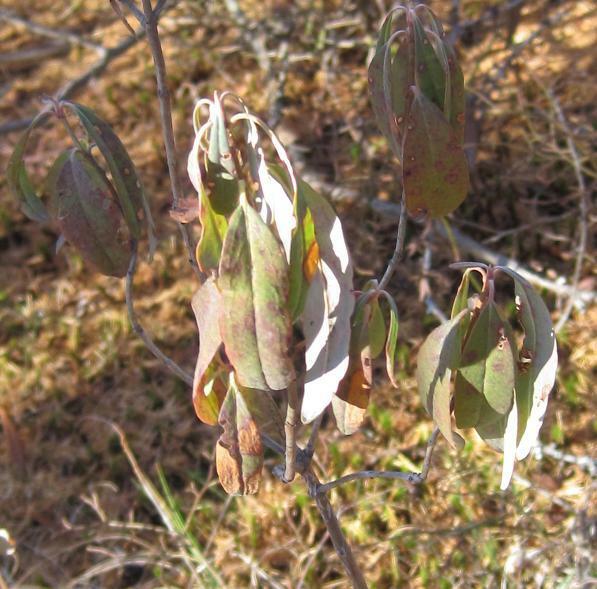 natives use this tea lots by steeping the leaves in hot water or by boiling the leaves for 15-30mins for a spicy brew Boiling the leaves releases large amounts of ledol and therefore is not recommended. mild laxative effect, nervousness, strong brew to rid the hair of lice. effective against mosquitoes too. used for insect bites as a tincture. Mild narcotic when smoked. It therefore should be used sparingly by the uninitiated. To be used as a narcotic it should be picked when the leaves have orange under the leaves this is when it is at its strongest. It has a chemical called ledol, which is known to cause cramps, drowsiness, delirium, heart palpitations or temporary paralysis. I have drank this tea many times and known several foragers that drink this tea regulatory no one has seen these reported side effects. used for colds and fevers, blood cleanser, rheumatism. this herb has been used as an abortive so do not use during pregnancy. expectorant, diuretic, coughs colds and bronchial and pulmonary infections. 1 teaspoon per cup of water steeped for a half hour. 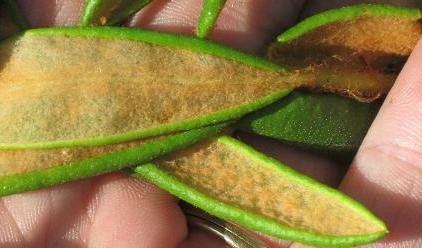 I forgot this part bud..."externally for itching and skin eruptions accompanying fever (exanthematous). also to rid body of parasites, mites, and stop itching from misqutio bites. This plant should not be kept in an enclosed area while drying because large amounts of the volatile oil can be poisonous." not sure about the honey but the buds when smoked have the same effect as the leaves I have tried thinking bud might be better than leaf. Edited by PsyBearknot, 14 June 2014 - 02:14 AM. WOW you folks are a wealth of info thanks..
Edited by illigitimateJester, 14 June 2014 - 01:30 PM. Nice posts and the knowledge here remains impressive as always. Ott also noted the DO NOT FREEZE YOUR SHROOMS EITHER. DUE TO LATE HOURS AND LACK OF SLEEP, I CANNOT FIND ALL I WANTED TO POST BUT THESE TWO PARAGRAPHS OR MORE EXPLAINE WHY HONEY AND FREEZING ARE NOT GOOD. OF COURSE THE AZTECS HAD NO REFRIGERATION SO THERE WAS NO PROBLEM IN THAT. 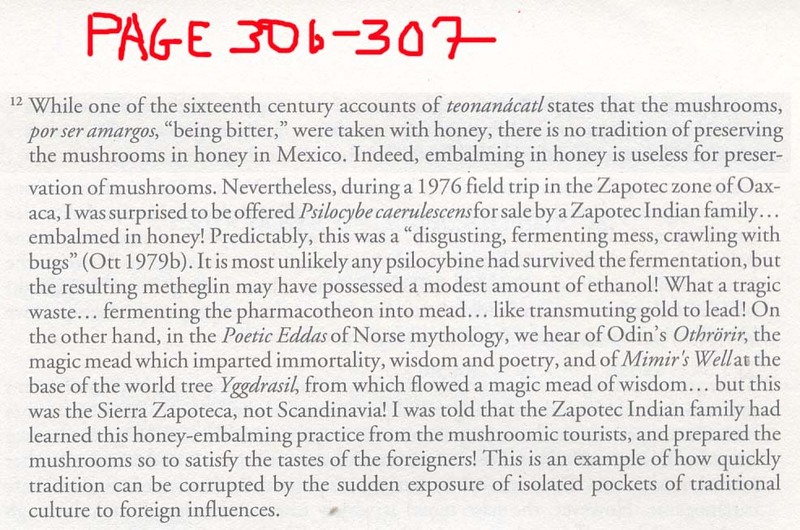 THEY DID, HOWEVER, sun dry their shrooms and served them to foreign visiting dignitaries with either chocolate ( which was not then sweet at that time) and/or served them with honey, Nowhere In the Aztec/Mayan cultures did they ever store them in those compounds. Here are Ott's two comments from different pages pasted out of a scan of the pages. Edited by mjshroomer, 09 September 2014 - 05:06 AM. I hoe this link works here. 0 While some Mazatec refer to P. caerulescens as parajitos species, the latter is often used as an epithet for M. mexicana ( little birds). HE calls the large P. caerulescens as, 'the master.' implying it is the number one or biggest and only one is needed. This is a video I could not find and then found I had not sure if it will play. Another reason to avoid local shaman potions by unknowledgeable mestizos earning extra income from Tourists over mushroom preparations. as noted in Ott's published notes of honey as not good for storing. I am also aware that the plant here is somewhat inebriating in toxicity and is not about storage of shrooms or shroom honey preparations.